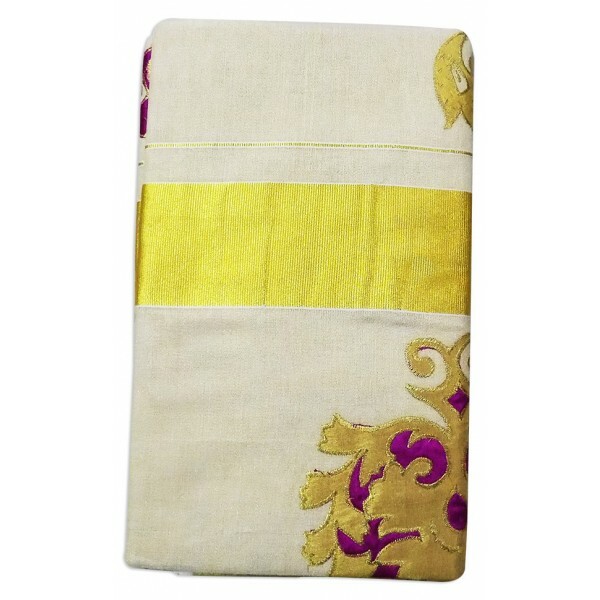 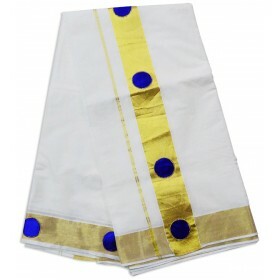 Traditional elegant off white Kerala set mundu with golden thick border and fully checked design mak.. 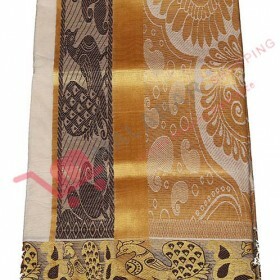 Stylish kuthampully Kasavu saree with beautiful peacock pattern on pallu and border. 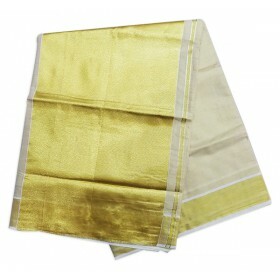 Saree is ideal ..
New Trendy collection of half saree model kasavu mundu. 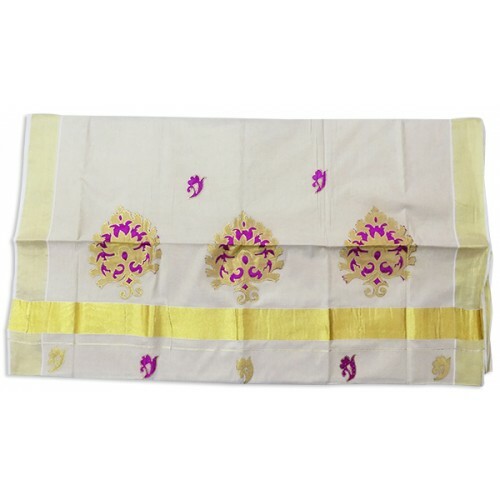 The set mundu having 2 pieces the melmundu i..
Special Kerala tissue kasavu saree have thick golden border along with violet and golden coloured patch work on pallu.the saree gives you a rich royal look on any special traditional occasion. 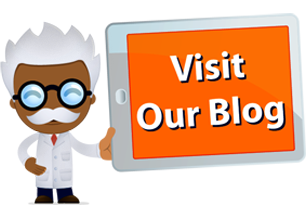 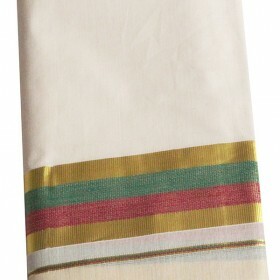 The main attraction of the saree is having some small buttas along with pallu and 2 inches border on both sides. 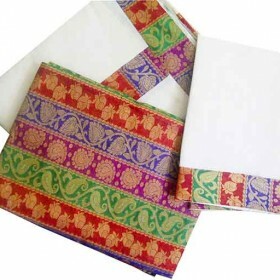 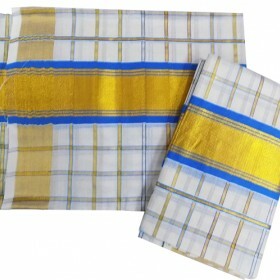 The saree comes with matching blouse piece. 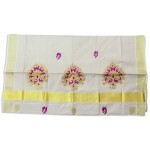 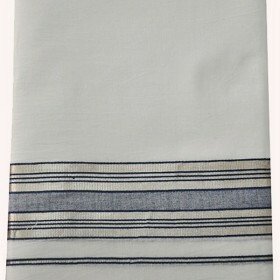 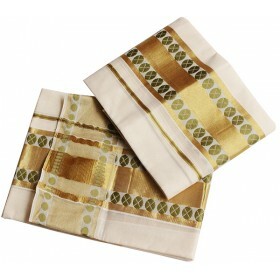 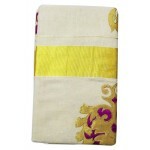 Buy this gorgeous saree quickly.